Corning Incorporated (NYSE: GLW) announced today that it has entered into a 25-year power purchase agreement for solar-generated electricity produced by Duke Energy Renewables. Corning will purchase 62.5% of the expected output of the facility, estimated to be 120,300 megawatt hours per year, beginning in the first quarter of 2016. That amount of electricity is equivalent to the annual power used by approximately 10,000 U.S. homes. 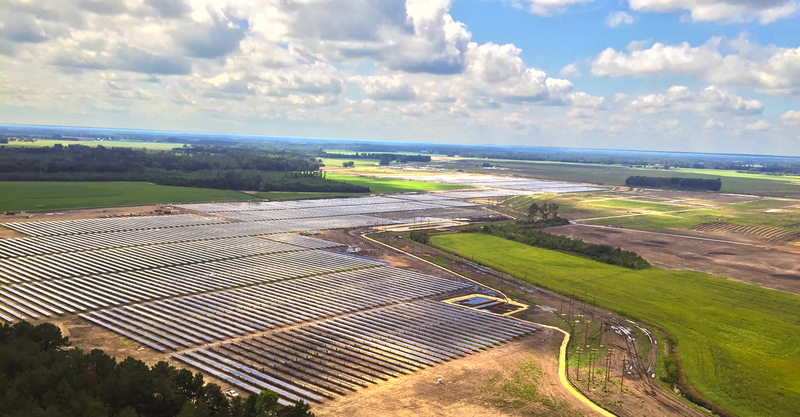 The new solar farm being constructed by Duke Energy Renewables is located in Conetoe, North Carolina, and will be the largest solar-generating facility completed to date east of the Mississippi River. Corning’s presence in North Carolina includes more than 3,000 employees across five locations. The solar power purchase agreement will produce more clean energy for the electric grid, while substantially reducing Corning’s greenhouse gas footprint. Rocky Mountain Institute, an independent nonprofit focused on market-based clean energy solutions, commended Corning for the company’s commitment to renewable energy. This purchase is part of Corning’s consistent commitment to clean the air. In 2006, Corning established its Global Energy Management (GEM) program, which drives efficient energy use and saved Corning more than $410 million in cumulative energy costs. Corning received the EPA’s ENERGY STAR® Partner of the Year in 2014 and 2015. Duke Energy Renewables, part of Duke Energy’s Commercial Portfolio, is a leader in developing innovative wind and solar energy generation projects for customers throughout the United States. The company’s growing portfolio of commercial renewable assets includes 17 wind farms and 34 solar farms in operation in 12 states, totaling more than 2 gigawatts in electric-generating capacity. Learn more at www.duke-energy.com/renewables. Headquartered in Charlotte, N.C., Duke Energy is a Fortune 250 company traded on the New York Stock Exchange under the symbol DUK. More information about the company is available at www.duke-energy.com.